I can use it without problems. It is scheduled to repeat when it runs out. This review is about item#09435833. I use it for cleaning the details of the plastics and painted parts that I would like to refrain from using the decreser when rocking the bicycle. Pattern and head? (What is it supposed to be ...) has very strength and even if it thrusts into a fine place, the handle turns and the tip does not collapse and it is very easy to use. Since I want to purchase on a regular basis, I would like to handle it forever for Monotaro like. This review is about item#09435876. The aroma pendant puts essence through a thin glass tube with an inner diameter of 3 mm or less. It is perfect for cleaning the glass part. This review is about item#09435842. We are using it for repair and maintenance of precision instruments. Previously I used similar things for medical use but there was no place to purchase cheaply I found this product by Monotaro. 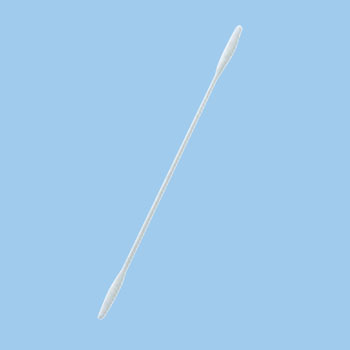 The flexibility of the length, thickness and axis of the cotton swab used up to now are almost the same, but the unit price is a bit high, so it is more pleasing if bulk buying price is set (^ - ^) B type of different type Since it is sold also on this site, we think whether it will be more economical if you buy it separately for each purpose in the future. I was admired that it is packed in an antistatic type OPP bag.